Faking your own magazine cover can be a lot of fun, and the resulting images can make great gifts for friends and family. If you want to do something more than just slap a load of text over a snapshot, you should look at a few magazine covers and observe the techniques they use to grab the reader’s attention and tell you about what’s inside. Obviously, you are not going to be making a whole magazine, but the use of headlines and mastheads are going to be equally applicable to your project. In order to make fake magazine covers, you need to understand the design principles used by the professionals. After all, you want it to look convincing, don’t you? Whether it is you, a friend or a relative, picking the right photo makes all the difference. Try to pick a photo where the subject is looking directly to camera. It is also best if they are against a fairly plain background, so as not to distract focus from the main subject of the picture. If you do not have a photo against a plain background, you could always try applying a little Photoshop magic and remove the background altogether. 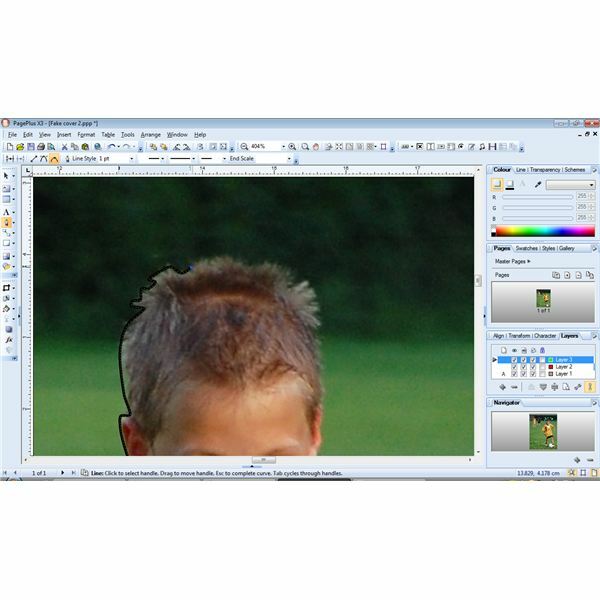 Whichever picture you use, try to ensure that it is a high-resolution image file – ideally 300dpi or higher. While a cell phone snap is fine for a Facebook page, they are seldom seen on magazine covers. Don’t worry if your photo does not quite match the dimensions of your page – you can always use other design elements to mask the blank gaps. Magazines often have bumpers at the top and bottom that you can use to hide any white space. With so many different publications on the stands, you certainly have a lot of inspiration – perhaps too much. Think about what your subject is doing or what you want your cover to say about the subject. If the picture shows you playing a sport, then that is an obvious point of inspiration. If a friend is in a band then her own "Rolling Stone" style cover would be great. Sometimes, though, the subject does not obviously lend himself to a niche periodical, in which case you need to convey the main thrust of the cover through typography. This can be done with both the magazine title and the strapline on the cover. An obvious example of this (which you could perhaps adapt for your own use) is TIME magazine's 'Man of the Year' issue. The title (or ‘masthead’ to use the proper publishing term) is the main feature that distinguishes one magazine cover from another. Take design cues from your favorite titles and try to get a feel for their typographic language. As a rule, serious news and analysis magazines favor quite conservative typographical styles, with serif font faces and conventional layouts. More consumer-oriented titles, however, tend to use sans serif and bolder styling. When you make a fake magazine cover with your picture, the most important part is to create an accurate facsimile of the masthead. You can do this by tracing vectors over a clean copy of the logo, either by hand or using a conversion tool such as Vector Magic). Alternatively, you might prefer to can find a similar-looking typeface and tweak it into an approximation of the real thing. This example uses a thick basic sans-serif font to make a lookalike of the Sports Illustrated logo. While it is not 100% accurate, the important thing is to get the feel of the design, rather than slavishly copy every point and curve. Although magazines principle piece of branding is their masthead, many covers actually obscure it to some degree by placing parts of their image in front of the type. This is usually done so that the cover star does not have a logo blocking off their face. 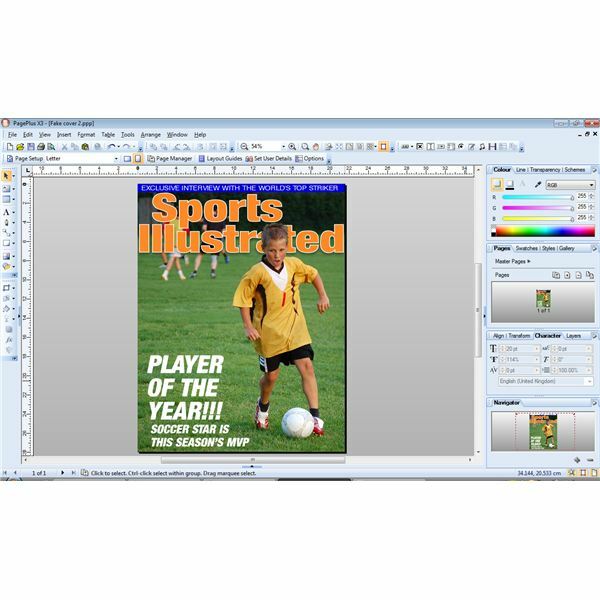 If you need to replicate this effect, you can create a custom path in an image editor such as Adobe Photoshop, or manage the process entirely within your desktop publishing software. To accomplish this goal, use the Pen tool to create custom curves. Whether you are doing this in Photoshop or your DTP software, the principles remain the same. Check out this tutorial if you need a refresher course on using the Pen tool. Create a closed path around the cover star’s head. Then copy the frame with the image in and then Paste Into the shape you just made. You may need to move the image within the frame, but once you have it matched up, you should have one frame that can go below the masthead and a smaller, specifically shaped frame that can float above it. Add more content to the magazine title, using a smaller point size than your masthead. Depending on the type of cover you are making, these could be quotes from a supposed interview, or season stats of an athlete. Either way, they should enhance the focus of the cover. This sports example places straplines about him being player of the year and having a winning season. All these elements add to the credibility of the magazine cover. Once you’re happy with the cover, you may want to print it out. It’s best to use glossy inkjet paper for this, as it more accurately reflects the finish of real magazine covers.